Believe it or not, cartoons used to actually have a quality to them. Shows from the 1990s and 2000s seldom had a cartoon series that was just plain terrible. The series that took place on tv stations normally had some quality to them even though they were targeted towards children. Now tv stations know that kids will watch anything so they have their writers put minimum effort into most content. They are more focused on quantity over quality which is a shame. Not to mention tv is being watched less and less. With the growth factors of fewer eyes on the screen, the more greedy tv corporations have become. Many writers, in fact, want to do more with their lives than make mediocre cartoon episodes. However, the industry is about money at the end of the day. This list will not contain shows like Rocket Power, Spongebob, Hey Arnold and Rugrats because they started before the 2000s. The Adventures of Jimmy Neutron makes the fifth spot because of its overall quality. 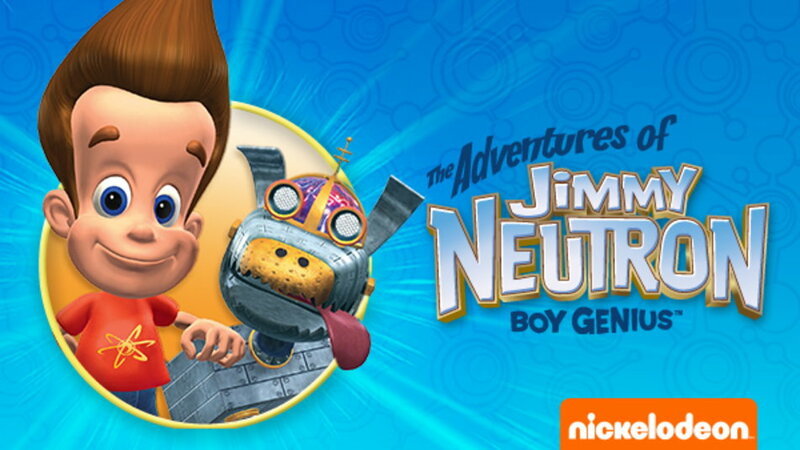 This series focuses on Jimmy Neutron, who is a fifth-grade genius. He is constantly creating new inventions that either causes trouble for the town or end up saving it from some other type of threat. One of his greatest inventions is his robot dog Goddard, who is always a joy to have on screen. His best friends names are Carl and Sheen and they both are also perfect for the supporting cast role. He attends Lindberg Elementary with his friends and has his fair share of crazy adventures from episode to episode. This cartoon ran for three seasons and even rewatching episodes is enjoyable. It wasn’t just a phase it is a quality show that I’d recommend if you haven’t seen it. The characters themselves were thrust into interesting situations from week to week. Which gave every episode its own particular taste. This is refreshing when compared to shows from all different ages. Plenty of cartoons can end up feeling like their episodes blend and you should never get that feeling when watching a show for the first time. Even the second or third viewing each adventure should feel like a different experience. I’m happy to say that this show truly is good and it wasn’t just the nostalgia talking. 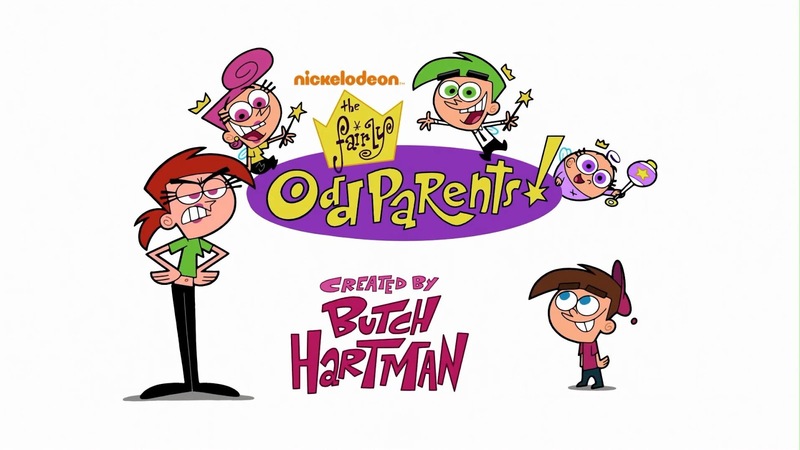 The Fairly Oddparents is another classic that I’ll never forget. This show follows Timmy Turner, a ten-year-old boy who has one of the worst babysitters in history. This leads to him to be granted fairy godparents who possess the power to grant any wish he desires. These wishes go from helpful to devastating. In more extreme cases Timmy’s godparents Cosmo and Wanda must lend their hand in stopping the crazy threat they unleashed. This, of course, leads to many enjoyable and interesting adventures in a world where just saying what want can cause it to appear. There’s a reason this show has run for ten seasons and it’s because there’s always been decent quality attached to it. Unlike Spongebob Squarepants even though this series has a long runtime it didn’t make the quality dip to the point it became unwatchable. I do have to admit that early seasons are better than the latter, however, it doesn’t mean that newer episodes are bad. They just can’t live up to the quality of the past. A great value of the show is its creativity. Wishes often differed from episode to episode and there normally was a good variety in each installment. Seeing the same wishes over and over could’ve made the show boring, but I appreciate the fact that the creator never lets the show dive into mediocrity. The early 2000s truly birthed some amazing shows, but one of the best has to be Invader Zim. In this series, the protagonist is named Zim and he lives to be a space invader. Unfortunately, he is terrible at it and is considered by his peers to be moronic at his purpose in life. His planet’s leaders are finally fed up with him and decide to send him to earth to finally be rid of his annoying antics. Once Zim is sent to earth he sets up a base. He begins to infiltrate human culture at this point. Now he poses as a human so that he can blend into their society. With his plan underway to plot the downfall of the earth only one human knows what he is. This human’s name is Dib he is incredibly smart, but other individuals believe he’s crazy, so they won’t listen to a word he says. We’d never get a kids cartoon like this again in our society. People get way too offended by the media and this show wasn’t for the faint of heart. Some episodes got dark, but that never turned me off the show. It was always interesting to me and I wish that the series as a whole continued for more than just two seasons. This show was incredibly funny as well. Growing up I never laughed at any other series on tv like I did with the Invader Zim. Our protagonist achieves being a genius and being an idiot at the same time. It’s impressive because comedy lies within both of these sides of Zim. The dumb trope of a character has existed forever, but only great shows can make these roles funny. Its odd to the phrase, but these writers made smart idiotic jokes. Much like Patrick in the early seasons of Spongebob Squarepants. Yes, Patrick is an idiot, but the jokes went beyond “hey, look at me I’m stupid”. There were genuinely funny jokes and Invader Zim possesses them as well. 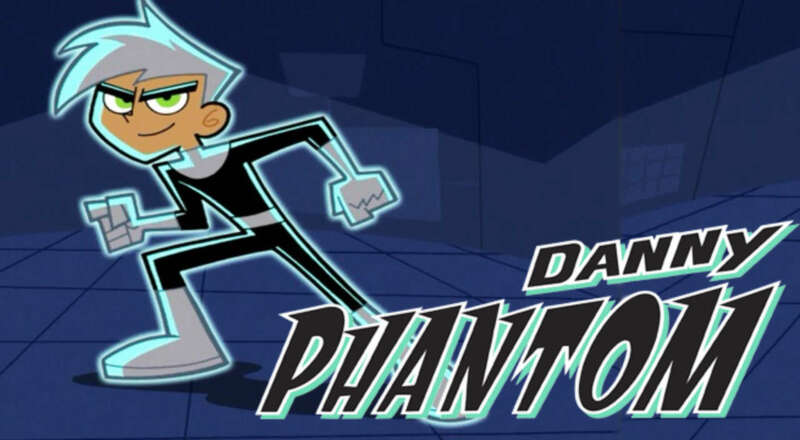 There hasn’t been many good superheroes shows they all just repeat things that happened in previous iterations, but Danny Phantom is completely original. Danny Fenton is your typical teen he goes to school and lives an ordinary life. That is until he ended up destroying his parent’s portal to another dimension. After the explosion, Danny becomes half ghost. He now possesses ghost powers and ends up fighting ghosts who have now gotten access to our dimension. Only a few of his friends, Sam and Tucker know his secret identity. While battling ghosts day in and day out he also has to keep his identity a secret while attempting to graduate. I don’t remember watching a bad episode in this series. While obviously, not every episode possessed the same quality the worst episodes still soared over the likes of similar cartoons. The high school setting was a good choice from the creator. High school drama is normally interesting and is very relatable. Some of the scenes in the show definitely had Danny do things I had always wished I could. Being able to possess a bully to make them prank themselves or even being able to just phase through solid matter when you’re late to class. His powers to this day are still very interesting to me. Not to mention they gave him a nice balance he has so many different abilities that it never becomes stale. Watching him fight it out with the different villains in this series gets better as the series goes on. While watching this cartoon from the pilot I didn’t think that would be the case. Series like this generally show all that our hero can do pretty early on and only changes the formula once or twice during its run. As the show continues Danny gets stronger and stronger boasting new powers from time to time. That alone makes this cartoon stand out from many others and that’s because things happen. Characters change and the series doesn’t stay stagnant. I love that about this show and there’s so much more than I enjoy. Our other main characters have their charm and the show wouldn’t be the same without them. With a cast this strong it’s hard to not to at least enjoy their screen time together. 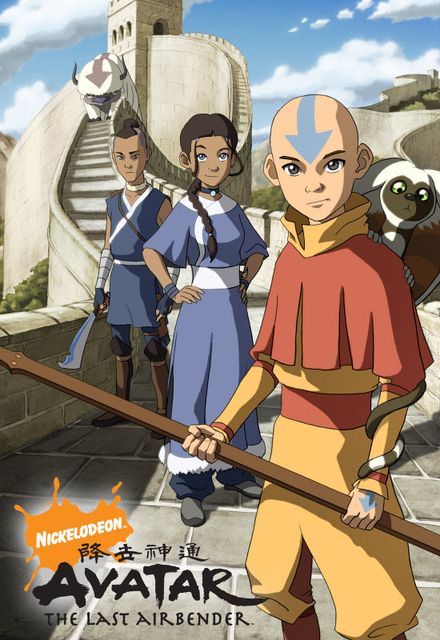 The series that takes first for me shouldn’t be much of a surprise Avatar: The Last Airbender is one of the greatest cartoons that has ever existed. Their world is divided into four different nations. They persist of the Water Tribe, the Fire Nation, the Earth Kingdom, and the Air Nomads. Benders have the unique ability to control the element from their nation. However, The Avatar is the only one who can master all of the elements which are where our protagonist comes in. After the last avatar disappeared the Fire Nation now plans to conquer the earth. While their plan is put in motion Sokka and his sister Katara find a boy trapped in ice. Once breaking him free they become Avatar Aang’s best friends on his journey to stop the fire nation and master all four elements. There’s so much to love about this series. The plot, characters, art style, and music are all amazing. I’ve never seen a show like this and even now none can compare. These three seasons tell a story with complicated themes. While it can easily be enjoyed by children returning to this as an adult doesn’t make me feel differently in a bad way. I do feel different now about the show, but it’s because I can appreciate the beauty of the series. You can’t judge anything by its cover and that’s not something you expect in a kids cartoon. I found myself being surprised very often with this show’s plot and I love that. Kids these days deserve cartoons with this kind of quality. I don’t think that’s happening anytime soon, but if you haven’t watched this show you’re missing out. Don’t let the live action movie detour you from this series either. Its a disgrace to the original content. I hope someday we can get a true movie adaptation, which can live up to the cartoon series. Next Post Avengers 4 Has Some Big Shoes to Fill! Thanks, maybe you should try Cartoon Network next. How about Cartoon Network and Disney cartoons? Yes, as a child I watched it all the time. I haven’t had cable in a long time though so I haven’t seen the channel in almost a decade I’d say.